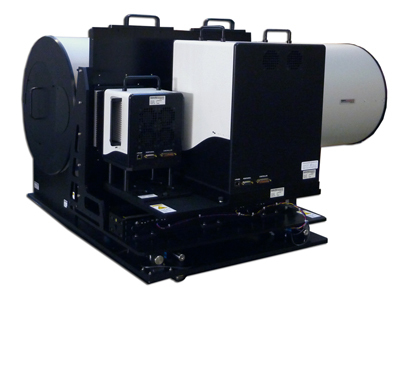 Santa Barbara Infrared's 14000Zi Series reflective infrared target projectors are turnkey test systems for electro-optical (E-O) testing of FLIRs and other infrared (IR) imaging systems. 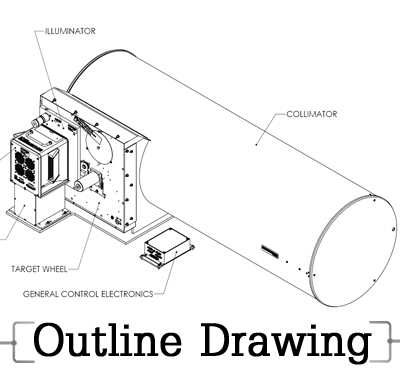 The standard target projectors are assembled from SBIR's STC Series Collimators, Infinity Blackbodies and 300 Series Target Wheels. 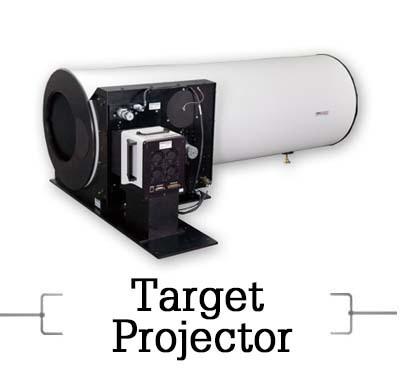 SBIR also offers a standard athermal target projector with a 5.7° field of view (FOV). With the addition of IRWindows™4 automated test software, SBIR's infrared and visible target projectors become fully integrated closed-loop automated hardware/software solutions. 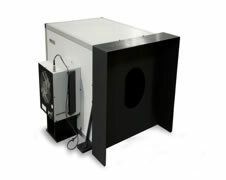 SBIR offers infrared (IR) target projectors in four standard configurations to satisfy most imaging test requirements. See the table below for standard infrared configurations. Please note that custom configurations are available. Contact SBIR at 805-965-3669 or sales@sbir.com for applications engineering assistance if the combination you desire is not listed. 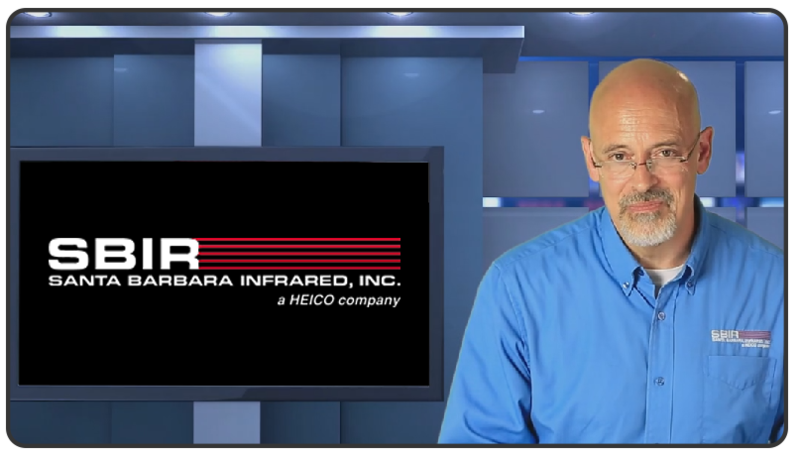 Santa Barbara Infrared's expertise is the design of high-end electro-optical test equipment. SBIR's engineering department can design the optics, along with IR, visible, or laser sources to properly test virtually any customer’s system. • COLOSUS Systems - Full spectrum, fully traceable calibrations from 0.35 to 14+ microns. More details to come! 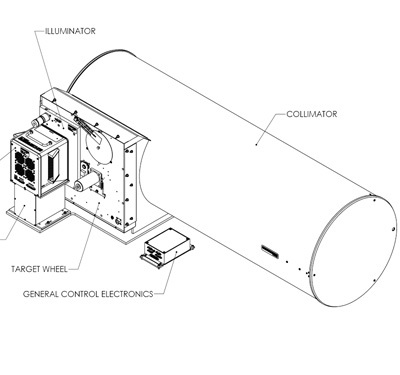 Below are some recent examples of application-specific test systems that SBIR has designed. Contact SBIR for applications assistance, engineering design, and fabrication for your electro-optics test requirements. Santa Barbara Infrared and Labsphere have partnered to provide an unparalleled family of E-O test systems. 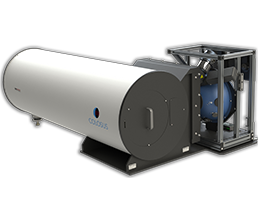 The COLOSUS™ systems, which include collimated optics, software, and uniform sources, are complete test solutions for optical characterization of sensors and cameras, offering both collimated and flood-mode test configurations. The two companies have merged their engineering expertise in hardware and software to offer turnkey, fully-calibrated solutions. 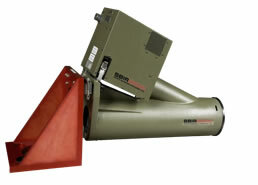 The Model 13649 target projectors are built around SBIR's versatile modular (MTC-930) collimator. This collimator has a 9" diameter 30" focal length primary mirror with 5.7° field of view, and is built into a lightweight, rugged, stable, carbon fiber housing with a 7" diameter clear exit aperture. It can be configured for either standard emissive target or reflective target applications (see SBIR's Targets page for more information about reflective targets). 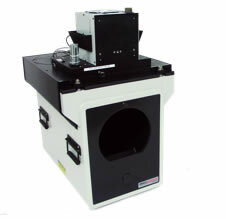 Model 13323 dual blackbody, all reflective background IR target projector is used to characterize WFOV IR sensor systems. It features a broadband, 3 to 14 micron range, reflective IR target technology for the most accurate and stable differential targets, controlled background radiance, a 5º FOV with 36º uniform background. The The Model 13352 Pulsed Laser Diode Target Projector is designed to provide a uniform collimated pulsed laser output at 1064 nm. 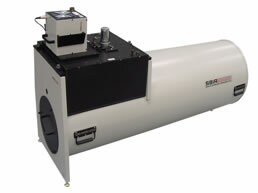 The system includes a Newtonian type collimator, laser source and controller, and fiber optic/target assembly. The system can be operated manually via the front panel touch screen/display of the 2U 19” rack mount controller or remotely via an Ethernet interface to a PC. The 13383 test bench system is configured specifically for characterizing the performance of IR and visible sensors and performing multi-sensor boresighting (IR to Visible to Laser). The design of the test bench is similar to many other test systems that SBIR has manufactured. 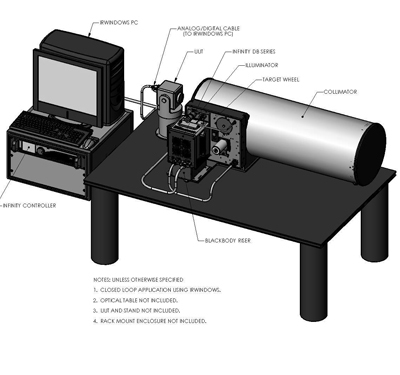 The test bench includes a broadband collimator, precision differential blackbody, uniform large area visible source, 16 position motorized target wheel and manual micrometer driven range simulation platform. 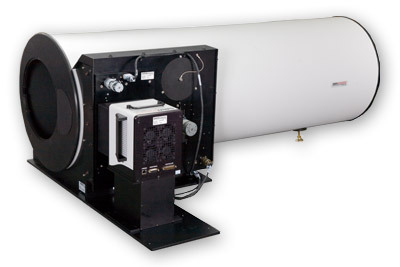 The Model 13283 is a fully integrated test system used to verify the performance and alignment of an airframe-mounted infrared imaging system. 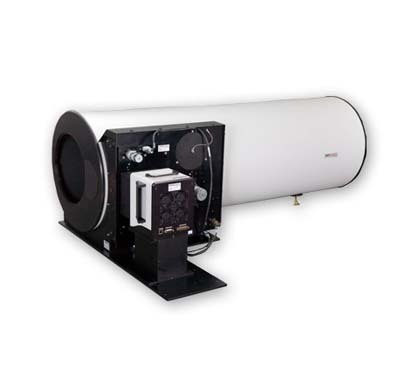 The 13283 has a 4” aperture, 18” focal length and is a thermally stable system specifically designed for use in a depot/field environment where the ambient temperature can vary. The design utilizes materials that are ultra light-weight (<12 lbs. total weight), rigid and thermally stable. 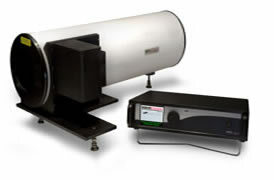 The Model 13158 is a fully integrated test system used to verify the performance of infrared imaging systems. 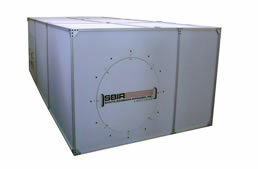 The 13158 is a thermally stable system specifically designed for use in a depot/field environment where the ambient temperature can vary widely. The Model 13158 consists of three major components: Model 15166 athermal collimator, a differential blackbody source and a Model 316 target wheel. The Model 13432 is a fully integrated test bench used to automatically characterize and verify the performance of IR and Vis/NIR/SWIR systems. The 13432 incorporates many SBIR standard products and modified standard products with a highly sophisticated optical system into a design that will provide the most advanced testing capability available. At the heart of the system is a 30 inch diameter, 29 inch clear aperture, 225 inch focal length broadband (0.4 to 14 microns) all reflective collimator. A 16 position automated target wheel is located at focus of the collimator. A differential blackbody and Vis/NIR/SWIR integrating sphere source are beam combined behind the target wheel to provide uniform fused target illumination of the targets in the target wheel. For more specific dimension information on a component of a target projector, please see the individual product pages by using the links below. 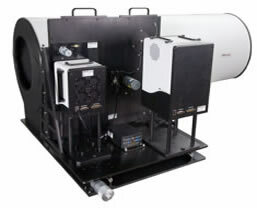 14000Zi Series IR Target Projectors are specified by model number corresponding to the configuration chart tab. Not all possible combinations are shown. Please contact SBIR for applications engineering assistance if your configuration is not listed at (805) 965-3669 to discuss your specific test needs.